We have lost 11 Air Advisors over the last few years, all of them in Afghanistan. This page holds a snippet of their dedication to the United States Air Force and their country's ideals of freedom. Click on the tabs above to see their stories. Major Jeffrey O. Ausborn, Hokes Bluff, was killed in the line of duty on April 27, 2011, in Kabul, Afghanistan. Known affectionately as "OZ" by his friends and colleagues, Major Ausborn voluntarily deployed for a one-year assignment in support of Operation ENDURING FREEDOM instructing Afghan pilots to become aircrew members for the C-27 Spartan aircraft, their first westernized aircraft. At the time of his death he was a rated Evaluator Pilot and Functional Check Flight (FCF) pilot, two prestigious titles. Major Ausborn graduated from Hokes Bluff High School and went on to graduate from Troy State University in 1991 where he was a member of Lamba Chi Alpha Fraternity and ROTC Troy DET 017; he received a B.S. in Computer Science. He received his commission as a USAF Second Lieutenant in 1991. Upon commissioning he became a Communications/Computer Systems Programming Officer at Keesler AFB, Miss. "OZ" was then selected to enter pilot training at Columbus AFB, Miss. After earning his wings from NAS Corpus Christi, TX in (1996), he completed qualification in the C-130E at Little Rock AFB, Ark. He then went to Pope AFB, N.C., and upgraded through the positions of Co-Pilot, Aircraft Commander and Instructor Pilot (2000). During this time he executed Presidential Support Missions and deployed in support of Operations SOUTHERN WATCH and NEW HORIZONS. He attended Aircraft Commander School in Little Rock, Ark. where he received the Distinguished Graduate Award. After his time as a C-130 Aircraft Commander, he then went onto become a T-37 and T-6 Instructor Pilot at Laughlin AFB, providing primary jet training for USAF and international students. While assigned to Laughlin AFB, he deployed as the Wing Safety Officer during Operation IRAQI FREEDOM. He returned to the C-130 weapons system at Pope AFB. There, he conducted tactical airdrop missions, aero medical evacuations (MEDEVAC) and airland operations into austere airfields using night vision goggles (NVGs). In addition to his flying position, he was the Chief of the Wing Exercise and Evaluation Team, ensuring combat readiness for all units. During his follow-on assignment, he was an instructor pilot in the Pilot Instructor Training (PIT) program flying the T-1A at Randolph AFB, TX. He served as a squadron scheduler, training officer and flight commander. Major Ausborn was a senior pilot, having logged over 2,300 hours in both airlift and trainer aircraft to include the T-37B, T-44, C-130E, T-6A, T-1A and C-27; of which 166.8 were Combat Hours. He then went on to training in Naples, Italy in the C-27 before deploying to the 538 AEAS, KAIA, Kabul, Afghanistan. Major Ausborn was a compassionate, intelligent, kind, patient person. He was never too busy to stop and listen or lend a hand when someone needed his help. He was a consummate professional aviator, officer, husband, father, mentor, role model and friend; especially to the wife he adored, Suzanna. In his spare time, he loved to spend time with his wife and children, ride his road bike, scuba dive, and down-hill ski. Alabama football was his passion; he lived Crimson Tide! He is survived by his loving wife, Suzanna Ausborn; his devoted five children, Shelby Ausborn, 8, Eric Ausborn, 11, Emily Ausborn, 15, Summer Maloy, 17, and Mitchell Maloy, 21. Major Ausborn is also survived by his mother and father, Alice Faye and Clifford Ausborn; his brother, Stanley and Susan Ausborn; and special cousins, Londa and Ronnie Johnson, January Johnson Millican and Dara Johnson. He is also survived by his in-laws - Floyd and Dora Torres, Julie Torres, Denise, Jose and Alexandar Lucero. He is the grandson of Onial Hunt and Mattie Coffey Hunt and the great-grandson of L.T. and Minnie Coffey. "OZ" will be sorely missed by his family, friends, military brothers and sisters and all who were blessed to know him. Major Brodeur was born on December 10, 1976 in Worcester and grew up in Auburn. He is survived by his wife, Susan (Williams) Brodeur and his children: Elizabeth 7, and David, Jr. 4. He is also survived by his parents, Lawrence A. and Joyce A. (Samaha) Brodeur, long-time Auburn residents who currently reside in Sutton; a brother, Todd E. Brodeur and his wife Jo-Ellen of Shrewsbury, MA and his sister, Amanda G. Brodeur. Major Brodeur also leaves behind a large extended family including his grandmother, Constance C. Brodeur, and many aunts, uncles, nephews, and cousins. After a year of prep school at Valley Forge Military Academy in Wayne, PA he entered the United States Air Force Academy in Colorado Springs, Colorado graduating in 1999 with a degree in Political Science. Major Brodeur earned a Master of Business Administration and Management from Touro University and had completed Air Command Staff College. Major Brodeur graduated from pilot training at Columbus AFB in Columbus, Mississippi in April 2001, and F-16 Fighter training from Luke AFB in Arizona. Major Brodeur was an experienced F-16 pilot with deployments to Iraq where he flew combat missions during the initial days and months of Operation Iraqi Freedom. Among his commendations and awards are the Bronze Star, Purple Heart, Meritorious Service Medal, Air Medal, and Combat Action Medal. 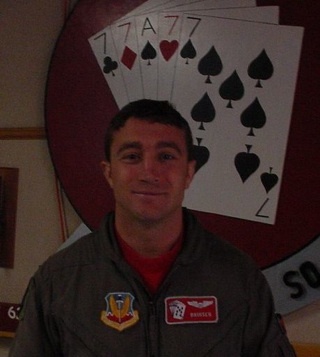 Major Brodeur was an F-16 instructor, Flight Commander, and Weapons ADO for the 18th Aggressor Squadron. He was a Senior Pilot with more than 1600 flight hours in fighter aircraft. He had a fascination with aviation as a child which turned into the goal of becoming a fighter pilot and led eventually to his career as an aviator and Air Force officer. Despite David's passion for flying and pride for his country, his greatest love in life was his family. He was a devoted husband to his wife of 11 years and proud father of Elizabeth and David. He was a loving son and brother who placed the needs of others and service to God and country before self. Though tragic to have lost him so young, it is comforting to know that his kind, humorous, and courageous spirit, with which he touched so many, will live on through his children. His all-too-short life was a life well lived. MSgt Tara Brown was born July 1977 and graduated from Deltona High School in 1995. She enlisted in the Delayed Entry Program in August, 1995 and reported to Basic Training at Lackland Air Force Base, Texas, in February, 1996. Upon completion of basic training and technical training at Keesler Air Force Base, Mississippi, she was assigned to Kadena Air Base, Japan, where she began working in the administrative career field. Numerous overseas assignments followed along with several deployments. She was assigned to Headquarters Air Force Office of Special Investigation in November, 2006. 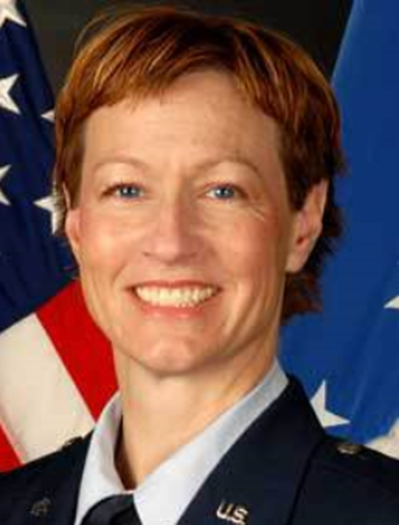 Brown served in the Directorate of Operations and in the Global Watch before being assigned to her current position on June 1, 2010. While assigned to the Air Force Office of Special Investigation, Brown deployed to Detachment 2413, Kandahar Airfield, Afghanistan. In January, 2011, Brown deployed to Kabul, Afghanistan, as a Communication Squadron Advisor for NATO Air Training Command - Afghanistan. In this role, she served as an international trainer on the basic fundamentals on desktop computers and computer networking to Afghan Air Force technicians. Brown was fatally wounded in the line of duty during an attack on 27 April 2011. She leaves to mourn her husband, Army Staff Sergeant Ernest Brown; father, Jim Jacobs; mother, Gladys Vereen; one sister; four brothers; one sister-in-law; one brother-in-law; a host of other relatives and friends. Lt Col Frank Bryant, 37, a 16-year U. S. Air Force veteran, died in the line of duty April 27 during his deployment as an air advisor to the 438th Air Expeditionary Advisor Group in Kabul, Afghanistan. Born and raised in Knoxville, TN, Lieutenant Colonel Bryant is a 1991 graduate of Karns High School where he was a champion wrestler, winning the Tennessee High School State Championship in that same year. He continued wrestling throughout his college career at the U.S. Air Force Academy, where, in 1995, he served as the team captain and was named most valuable player. After graduating from the academy in 1995 with a bachelor's degree in general engineering, he attended undergraduate pilot training and became a T-37 instructor pilot. Lieutenant Colonel Bryant went on to become a decorated F-16 pilot with 3,047 total flying hours, 121 of which were in combat. During his career, Lieutenant Colonel Bryant served at Columbus Air Force Base, MS; Kunsan Air Base, Republic of Korea; Shaw Air Force Base, SC; and Luke Air Force Base, AZ. He also served as an exchange pilot to the United Arab Emirates. In addition to his most recent deployment to Combined Joint Chiefs of Staff Afghanistan-Pakistan Hands Program as an air advisor to the 438th Air Expeditionary Advisor Group, he deployed in 2003 in support of Operation Iraqi Freedom. 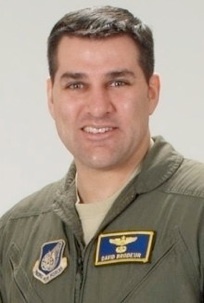 During his career, he earned his jump wings, senior pilot wings and a master's degree in business administration and management from Touro University. In 2008, he won the 19th Air Force Air-to-Ground Fighter Pilot Instructor of the Year award and was named the 19th Air Force Top Instructor Fighter Pilot, receiving the Gen. William R. Looney, III Award. Lieutenant Colonel Bryant was a recipient of the Bronze Star Medal (posthumously); Purple Heart (posthumously); Air Force Combat Action Medal (posthumously); Defense Meritorious Service Medal; the Meritorious Service Medal; the Air Medal, one oak leaf cluster; the Air Force Commendation Medal, one oak leaf clusters; the Air Force Achievement Medal; Joint Meritorious Unit Award; Air Force Outstanding Unit with valor device and two oak leaf clusters; Combat Readiness Medal; National Defense Medal; Global War on Terrorism Expeditionary Medal; Global War on Terrorism Service Medal; Korean Defense Service Medal; Afghanistan Campaign Medal (posthumously); Non-Article 5 NATO Medal (posthumously); Air Force Overseas Ribbon (short and long); Air Force Expeditionary Service Ribbon with Gold Border, one oak leaf cluster; Air Force Longevity Service, three oak leaf clusters; and the Air Force Training Ribbon. Lieutenant Colonel Frank D. Bryant Jr. is preceded in death by grandparents, Baker and Elizabeth Bryant and Robert and Elizabeth Bathe. He is survived by his wife and son, Janice H. Bryant and Sean L. Bryant of Arlington, VA; his father, Frank D. Bryant, Sr.; his mother, Patricia L. Bryant, both of Knoxville, TN; his older sister and brother-in-law, Amie and Bill Whitworth of Morristown, TN; his younger brother, Raymond Bryant of Knoxville, TN; his niece, Aubrey Whitworth of Morristown, TN; and his large extended family of aunts, uncles and cousins spread throughout the United States. 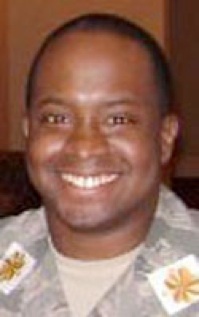 Maj Raymond Gray Estelle II, of the U.S. Air Force of Yorktown, Va., was killed in action Wednesday, April 27, 2011, in Kabul, Afghanistan. 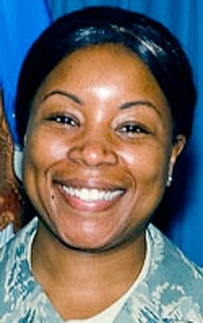 Maj. Estelle was a native of New Haven, Conn., and had resided in the Tampa and Brandon, Fla., area from 1999 to 2001, and had returned many times over the years. Both Major Estelle and his wife, Major N'Keiba, loved the Tampa Bay area and had planned for their family to reside in the area after retirement. He would have completed 20 years of military service in September 2011. Major Estelle leaves to cherish his memory, his wife of 10 years, Major N'Keiba J. Estelle; 7-week-old son, Raymond G. Estelle III; daughter, Shayla J. Estelle, (8) all of Yorktown, Va.; mother, Regina Estelle; sister, Nyiesha Estelle; a greatly loved and admired grandfather, Mr. Burton Gifford, all of New Haven; a father and mother-in-law, Levi and Lynn Knox of Valrico, Fla.; and a host of nieces, nephews, aunts, uncles and close friends. Master Sergeant Gregory T. Kuhse, of Kalamazoo, Michigan was born 12 Feburary 1979; the son of Linda Jospeh Kuhse. Master Sergeant Kuhse was a graduate of Comstock High School and enlisted in the United States Air Force on 6 March 1996. In June 1996, shortly after completing basic training on LackLand Air Froce Base in San Antonio, Texas, Master Sergeant Kuhse moved to Tyndall Air Force Base, Florida, where he worked in the 83rd Fighter Weapons Squadron, under the 53rd Wing, as an Information Managment Specialist. Three years later, in January of 1999, he moved again, this time to Keflavik, Iceland where he worked as an Information Workgroup Manager in the 85th Operations Squadron, an arm of the Iceland Defense, and the sole provider of Iceland's air sovereignty. Two years later, in January 2001, Master Sergeant Kuhse transitioned to Whiteman Air Force Base, in Missouri. Here, he was put in charge as a quality assurance workgroup manager for the 509th Operations Support Squadron. While there, he deployed to Qatar where he supported the Special Operations Command central mission. 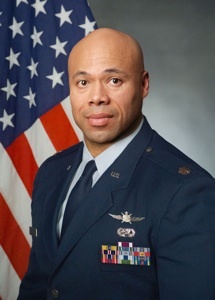 He stayed at Whiteman for four years before moving once more in 2005 to Robins Air Force Base, Georgia where he worked for the 373rd Training Squadron, Detachment 6. He held two jobs while there, the Quality Assurance Workgroup Manager and Information Manager. In 2009 Master Sergenat Kuhse left his old career field and cross trained into Manpower, and moved yet again, but this time, to Moody Air Force Base, Georgia. While stationed at Moody, he had his second deployment, this time to Shaw Air Force Base in support of the AFCENT mission, supporting 23 wings in Southwest Asia. Not only did he start his manpower career, be he also met and later married Torri. Greg's last military move, in 2013, was to the 3rd Manpower Requirements Squadron, at Scott Air Force Base, Illnois, where he worked in C-Flight as an analyst, and after promotion to Master Sergeant, he moved to B-Flight, serving as the Noncommisioned Officer in Charge, responsible for producing Air Force Manpower Standards and Requirements. James McLaughlin, age 55, passed away in Afghanistan April 27, 2011. Our family is overwhelmed with grief and shock. Jim was a good man who loved his family and country. Jim enjoyed his work in Afghanistan working for L-3 MPRI. On his last visit home he expressed much happiness with his life. His favorite quote was "count your blessings" and he did. Jim would be happy to know how much he was loved in his community where he was an avid volunteer and ham radio enthusiast. Jim will always be with me, and our children. Loving husband Jim is survived by wife Sandy, sons Adam, James, daughter Eve and son in law Jarrod, two pups Sugar and Maggie, who he loved dearly. Jim also leaves behind a sister, Jan Eble and her family in New Jersey, Many, many friends in the Ham Radio Community, Boy Scouts, he was a member of SCRA, Sonoma County Emergency Services, and MARS. Jim took pleasure in simple things such as taking his pups for a bike ride and simply sitting in his back yard" counting his blessings". Captain Nathan J. Nylander was born in Fairbury, Illinois on January 23, 1976. He is a graduate of Waller High School in TX, where he was a trumpet player in both the marching and jazz bands. In July of 1994 he left for Basic Military Training at Lackland AFB and began his career as an Airman in the United States Air Force. Upon completion of training he went to technical school at Goodfellow AFB in Texas to become a radio and satellite data analyst. During technical school he was a Red Rope and saved an Airman's life who was choking. After technical school, he arrived at Patrick AFB, FL, where he met his wife, Miriam. They were married at the enlisted club at Patrick AFB later that year, and went on to have 3 children, Tyler, Elisabeth and Andru. 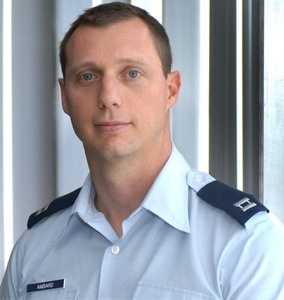 In January of 1998, Senior Airman Nathan Nylander cross-trained into the weather career field. He was a distinguished graduate of both the Weather Observer and Weather Forecaster courses. In addition, he was only the second person in the history of the course to score an overall 100%. Senior Airman Nylander transferred to Luke AFB, AZ, where he became a Non-Commissioned Officer. 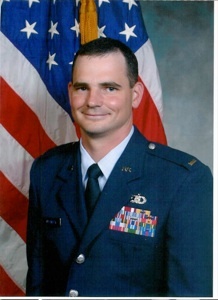 He was an outstanding Airman and technician for the 56th Operational Support Squadron where he earned Forecaster of the Year honors for 1999 and 2000. While at Airman Leadership School, he was selected as the Distinguished Graduate in addition to receiving an award for academic excellence. Sergeant Nylander continued outstanding performance in all his weather assignments that followed, winning his Squadron's Pierce Awards for the best NCO Weather Forecaster at both the 607th Weather Squadron and Site R where he led weather operations for Presidential Weather Support. In February of 2006, Sergeant Nylander arrived at Officer Training School where he was recognized at the #1 graduate of his class in addition to winning the academic award for his Squadron. From 2006 through 2009 Lt Nylander was stationed at Hickam AFB, Hawaii. 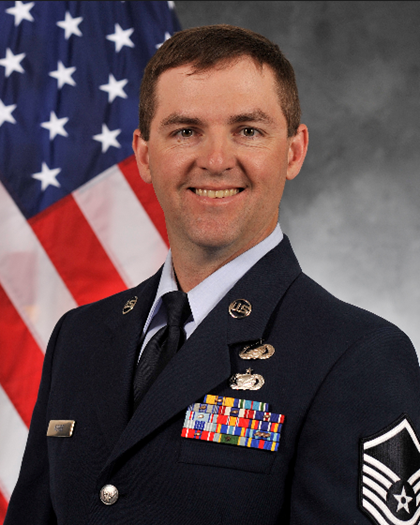 During his tenure as the Operational Support Squadron weather flight commander, his flight earned a 99% on an Air Force Standardization and Evaluation inspection. 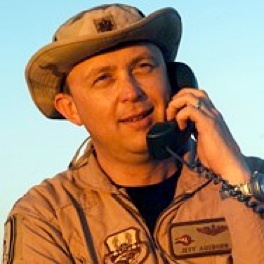 In May of 2009 Lt Nylander became the flight commander for the Central Flight at the 25th Operational Weather Squadron at Davis-Monthan AFB, AZ. After only three months on the job, he was lauded as an "exceptional performer" by the standardization and evaluation team inspectors and pivotal to the Squadron's "excellent" rating. In his critical leadership role, Capt Nylander was extremely innovative. His ideas laid the foundation of a Squadron reorganization that propelled weather warning performance to its highest levels in over a decade. He cared deeply for his Airmen, mentored many individuals and was a joy to work for and with. Capt Nylander had a love of God, his Country and he was a true Patriot. Phyllis Pelky, 45, was killed in the line of duty in Kabul, Afghanistan, in support of NATO-led Operation Freedom's Sentinel. Phyllis was born in Evergreen Park, Illinois on Febuary 13, 1970, to Mr. and Mrs. George and Dale Berlin. Prior to joining the United States Air Force, Phyllis graduated with distinction from the Univeristy of New Mexico with a Bachelor's Degree in Education and taught German and Humanities at Rio Rancho High School in Rio Rancho, New Mexico. After 9/11, Phyllis wanted to serve her country as an Air Force officer and enrolled in the Officer Training School (OTS). She was commissioned as Second Lieutenant on June 25, 2004, and began her service in Force Support. Her commitment to help others led to her serving and leading the Equal Oppurtunity Office at Kadena Air Base. She subsequently pursued her Master's degree at McGill University in Montreal, Canada, which led to a follow-on tour at the United States Air Force Academy (USAFA) as an assistant professor of German. Her integrity and service were noticed and admired by all and led to her selection as Aide-de-Camp to the Superintendent of USAFA. Phyllis loved her career as an officerm which was only matched by her love for her family and friends. She is survived by her husband of 25 years, Dave, and her sons, Zach and Alex and his wife Brandi, as well as her six siblings: Cathy, Meg, Mary Jo, Janet, Susan, and George. For all who had the priviledge of knowing Phyllis, she was an inspiration, a sacrificial leader always looking for oppurtunities to serve, and as a moral compass by which we all could guide our lives. To her family, she was this and so much more-a nuturing mother, a patient and devoted friend, and a companion whose joy for life will always be remembered and honored. May she rest in God's care. Maj Charles Ransom, 31, VMI alumnus, died April 27, 2011 while on duty in Afghanistan. He was a trainer assisting the Afghan National Security Forces. Charles leaves to cherish his memory, father, Willie D. Ransom; mother, Marysue Ransom; brother, Stephen (Vanessa); the love of his life, Naquita Bassfield; five uncles, seven aunts, and a large extended family and countless friends.